Lori Wilkinson is a professor of Sociology at the University of Manitoba, editor of the Journal of International Migration and Integration and Director of Immigration Research West. Her research focuses on studies of racism, settlement, and integration among refugees and immigrants. Her current work examines the resettlement experiences of refugees, the health and wellbeing of refugee children and their families, and the experiences of Indigenous students in post-secondary education. She is the co-author of two books, numerous journal articles and government reports regarding various aspects related to integration and resettlement among immigrants and refugees. 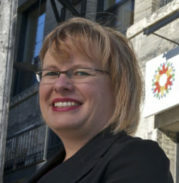 She is active in the community, working in several capacities with Immigrant Partnerships of Winnipeg, the Immigrant Centre, the Alberta Association of Immigrant Serving Agencies (Calgary) and the Association of Multicultural Societies and Service Agencies (Vancouver). In 2017, she won the Teaching Excellence Award from the University of Manitoba and the Fellow of the Year for St John’s College in recognition of her teaching and research work. She will be presenting on the topic: Communal Tragedy, Suffering and Loss; Observations on Trauma and Resettlement among Yazidi families in Canada. Vic Satzewich is Professor of Sociology at McMaster University. He is Past-President of the Canadian Sociological Association and was the recipient of the Association’s Outstanding Contribution Award in 2007. His book, Points of Entry: How Canada’s Immigration Officers Decide Who Gets In won the John Porter Tradition of Excellence Book Award in 2016. He writes about various topics related to immigration, racism and social inequality in Canada. He will be presenting on the topic: In Between Push/Pull and Macro/Micro: Migrant and Immigrant Mobility, Third Parties and the Process of Border Crossing. Jeffrey G. Reitz (Ph.D., FRSC) is the R.F. Harney Professor and Director of the Ethnic, Immigration and Pluralism Studies Program at the Munk School of Global Affairs at the University of Toronto, and Professor and former Chair in the University’s Department of Sociology. He has published extensively on immigration and inter-group relations in Canada from comparative perspectives, and has frequently contributed to discussions of policies on immigration, multiculturalism and immigrant employment in Canada. He is co-author of Multiculturalism and Social Cohesion: Potentials and Challenges of Diversity (2009); recent articles have appeared in the International Migration Review, Ethnic and Racial Studies, the Journal of Ethnic and Migration Studies, and Social Science Research. During 2012-2014 he was Marie Curie International Fellow at l’École des Hautes Études en Sciences Sociales (EHESS) in Paris, and in 2017-18 was a Visiting Fellow at the City University of New York Graduate Centre. He will be presenting on the topic: Behind Immigration Debates: Discourse, Policy and Reality of Muslim Integration in Western Societies. 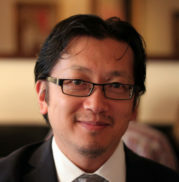 Henry Yu is an Associate Professor of History, and the Principal of St. John’s College, UBC. He received his BA in History (Honours) from UBC and an MA and PhD in History from Princeton University. Prof. Yu’s research and teaching has been built around collaboration with local communities and civic society at multiple levels, in particular in the digital humanities. In 2007 he was the Co-Chair of the Anniversaries of Change Steering Committee that oversaw a year of cultural events, art exhibits, and civic dialogues marking the 100th anniversary of the anti-Asian riots of 1907 in Vancouver, and between 2009-2012, he was the Co-Chair of the City of Vancouver’s Dialogues between First Nations, Urban Aboriginal, and Immigrant Communities Project. Between 2010-2012, he was the Project Lead for the $1.17 million “Chinese Canadian Stories” public history and education project funded by the Federal Government of Canada involving 29 community organizations across Canada. In 2014-15, Dr. Yu and his research team completed a project on Chinese and First Nations Gold Rush mining heritage sites along the Fraser River corridor. 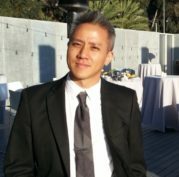 He was the Project Lead for the Hong Kong Canada Crosscurrents Project (2012-2017) and serves on the Advisory Board of the Landscapes of Injustice Project on the dispossession of Japanese Canadians, as well as the National Honorary Advisory Council of the National Association of Japanese Canadians. In 2015, Dr. Yu was appointed as the Co-Chair for the Province of British Columbia’s Legacy Initiatives Advisory Council implementing legacy projects following the province’s apology in May 2014 for BC’s historic anti-Chinese legislation. He also served between 2016-2018 on the Advisory Group for the City of Vancouver’s apology consultation process for Historical Discrimination Against People of Chinese Descent (HDC), leading to the City of Vancouver’s historic apology on April 22, 2018. He is the author of the book Journeys of Hope: Challenging Discrimination and Building on Vancouver Chinatown's Legacies published by the City of Vancouver to commemorate the apology. Dr. Yu is also a founding member of the Board of Directors of the Chinese Canadian Historical Society of British Columbia, as well as the Vancouver Chinatown Foundation. He received the Queen Elizabeth II Diamond Jubilee Medal in 2012 and the Province of BC’s Multicultural Award in 2015 in recognition of his community leadership as a historian. He will be presenting on the topic: Global Migration and the New Pacific Canada. Dr. Benji Chang’s scholarship addresses areas of pedagogy, teacher education, and youth cultural studies. His work focuses on contexts of Chinese and Asian diaspora, and marginalised populations such as working-class and immigrant communities. Two themes throughout Dr. Chang's work are agency and sustainability as related to critical education and community engagement. He has lectured and collaborated widely at universities around the Pacific Rim, including as Visiting Scholar to Beijing Normal University, Queensland University of Technology, and East China Normal University. His work has received distinctions in the areas of pedagogy, literacy, and ethnic studies, and he has published in numerous outlets such as Theory Into Practice, Linguistics & Education, Asian Pacific Islander Nexus, and Empire of Funk: Hip-Hop and Representation in Filipina/o America. A former classroom teacher and hip-hop artist, Dr. Chang earned his Ph.D. from the University of California, Los Angeles and was Postdoctoral Fellow at Teachers College, Columbia University. He will presenting on the topic: From No Child Left Behind to Left Behind Children? Implications of Schooling and Pedagogy with Chinese Americans for Chinese Diasporic Communities. 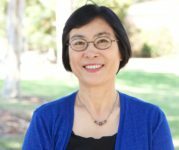 Min ZHOU, PhD, is Professor of Sociology and Asian American Studies, Walter and Shirley Wang Endowed Chair in US-China Relations and Communications, and Director of the Asia Pacific Center at the University of California, Los Angeles, USA. Her main research areas are in: migration & development, Chinese diaspora, education and the new second generation, ethnic entrepreneurship, ethnic/racial relations, and the sociology of Asia and Asian America, and has published widely in these areas. Recently, she has published an award winning book The Asian American Achievement Paradox (with Lee, 2015), The Rise of the New Second Generation (with Bankston, 2016), and Contemporary Chinese Diasporas (ed., 2017). Her book The Asian American Achievement Paradox received four major academic awards. She is the recipient of the 2017 Distinguished Career Award of the American Sociological Association Section on International Migration. She will be presenting on the topic: Immigrant Selectivity, Economic Integration, Diasporic Formation: Chinese and Indians in the United States. Professor LIU Hong is the Tan Kah Kee Endowed Professor of Asian Studies at Nanyang Technological University in Singapore, where he also holds the positions of Chair of School of Social Sciences and Director of the Nanyang Centre for Public Administration. He was a Chair Professor of East Asian Studies and Founding Director of Centre for Chinese Studies at the University of Manchester in the UK (2006-2010). Professor Liu’s main areas of research include Chinese international migration, Asian governance from a transnational perspective, global talent mobility and management, and Sino-Southeast Asian interactions. He has published 14 books and more than 100 articles, including in leading international journals such as the World Politics, Journal of Asian Studies, International Journal of Comparative Sociology, The China Quarterly, Journal of Contemporary China, Ethnic and Racial Studies, and Nature and Culture. His most recent books include Dear China: Emigrant Letters and Remittances, 1820-1980 (co-author with Gregor Bentn; University of California Press, 2018), and The Qiaopi Trade and Transnational Networks in the Chinese Diaspora (co-editor, Routledge, 2018). He will be presenting on the topic: Between National Identification and Transnational Mobility: Southeast Asian Chinese Respond to the Belt and Road Initiative.